Richard Nolan Hogan, 62, passed away March 23rd, 2019, in Gordon County, Georgia, while performing a test flight in his new airplane, which he designed. A memorial/celebration of life will be held at 11:00am on Saturday, March 30th, 2019 at Doug Ripley’s Airplane Hangar, at 517 Air Acres Lane, Woodstock, Georgia 30188. There will be an opportunity for anyone who would like to share a thought or a memory. Richard was born in Fort Worth, Texas on June 16th, 1956 to Berry Jean and Nellie Jeanette Hogan. He attended Central Elementary School in White Settlement, Texas, and discovered his passion for airplanes when he learned how to make a paper plane. While attending C.F. Brewer Junior High School in White Settlement, in his free time he enjoyed sketching and designing futuristic cars and airplanes. During his years at Mansfield High School, in the class of 1974, he played the trombone in the stage band, and became great friends with the band members. His passion for aircraft design continued, and he developed a concept of a personal commuter plane, which would become the focus of his lifelong dream. In 1981 he married Stephanie Susan Duncan, and in 1983 they had a daughter, Pamela Susan Hogan, his only child. Richard had an entrepreneurial spirit from very early on, founding or co-founding several companies over his lifetime. 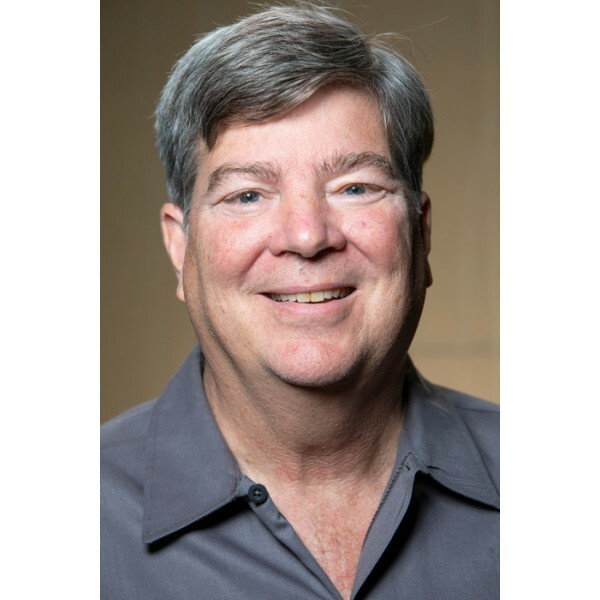 In the 1980s, he designed an innovative storm window, and subsequently he and his longtime childhood best friend, Danny Ferguson co-founded Precision Window & Screen as well as Precision Aluminum in Fort Worth. In 1989 Richard moved to Stone Mountain, Georgia, where he lived for many years. For decades Richard has been very involved in the Experimental Aircraft Association, where he has made countless lasting friendships. He was first with Chapter 690 when he lived in Stone Mountain. Then when he moved to Woodstock, he joined Chapter 1415 (the Wingnuts), and he served as President of that chapter up until his passing. 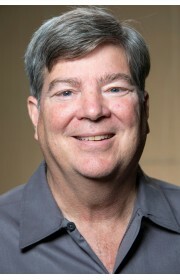 During the 1990s, he began working at ISES, a facilities condition assessment corporation in Duluth Georgia, working as a Qualified Elevator Inspector, and eventually became the Vice President and CFO. He was an artist at heart, and designed many creative products over the years, including a multi-function ladder, and a unique car trunk organizer. He also co-designed several items with his best friend of 25 years, Joel Dinerman. In recent years, he used his elevator experience from ISES to perform the inspections and provide analysis of the elevator systems at MD Anderson in Houston, Texas. In 2015, after 20 years with the company, he made the difficult decision to leave ISES to begin converting his aircraft designs into production. He founded his company, Commuter Craft, and the plane he had envisioned in high school became “The Innovator,” the company’s initial model. These last few years of Richard’s life were very challenging, as he worked nearly around the clock to get these planes to production, yet they were also the most fulfilling, as he was taking his lifelong dream to the finish line. Richard is preceded in death by paternal grandparents, Richard Everett Hogan and Lillian Mattie Melton Hogan; maternal grandparents, Nolan J Mauldin and Cora Vidie Mae Lancaster Mauldin; uncle, Bobbie Lynn Hogan; and cousins, Gordon Hogan and Patrick Mauldin. Richard is survived by his daughter, Pamela Susan Hogan Fort Worth, TX; mother, Nellie Jeanette Hogan, Sarasota, FL; father, Berry Jean Hogan (Helen) Mansfield, TX; sister, Beverly Hogan-Fleck (Bill), Sarasota, FL; niece, Miriam Fleck Cirbusoba (Stefan), Sarasota, FL; nephew, Bryan Fleck (Jessica), Orlando, FL; uncle Joe Ray Hogan (Janice), Katy, TX; uncle Jimmie Alton Mauldin, Midland, TX; cousins, Mark Hogan, Michele Hogan, Larry Hogan, Steve Hogan, and Michael Mauldin. If you have any pictures of Richard that you would like to share with his daughter, they would sure be appreciated. Please email them to PamelaHogan83@gmail.com In lieu of flowers, donations may be made in Richard’s memory to the EAA Scholarship Program. 19 Comments To "Richard Nolan Hogan"
Joel, we have heard about so many of your and Richard's adventures. He told us so many stories, and always with a smile of fond memories. You were very much a positive influence on him in years past. Thank you for posting here.